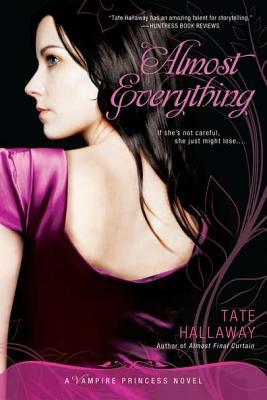 Ever since her father banished the half-witch, half-vampire Ana Parker and vampire knight Elias from the court of the Northern vampires, Ana has been trying to live a normal life. But when the Prince of the Southern Region vampires informs Ana that they're on the brink of war and she accidentally offers up Elias as a peace offering, the princess knows that she's going to need some help to get out of this situation. A Scorpio with a Leo Rising, Tate Hallaway is an amateur astrologer and practicing Witch. Tate has been a fan of vampire fiction since she first read Poppy Z. Brite in high school. Her first short fiction acceptance was to a vampire ‘zine called Nocturnal Ecstasy Vampire Coven. Tate lives in Saint Paul, Minnesota with three black cats.